Well, there's no way to sugar-coat the fact that I've been, shall we say, a wee bit absent from my photography blog. So today is THE day...I'm recommitting to posting again regularly. I'm going to make this blog my %#^&*@ and post until my hands go numb. Ok, maybe that's a smidge overly dramatic. How about I just commit to posting more regularly than every 18 months? 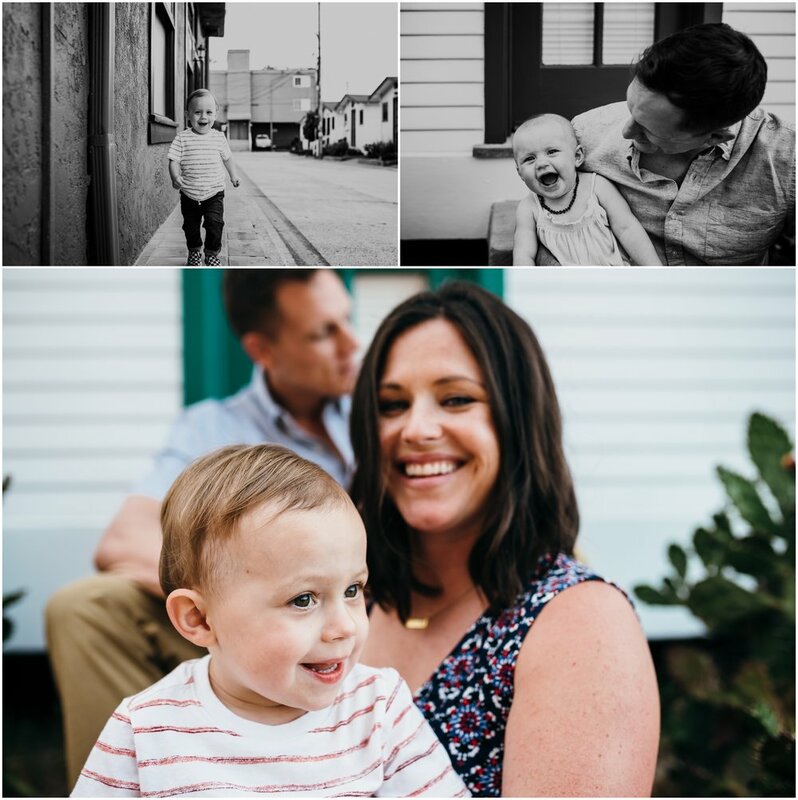 And let's get it started with this gorgeous family that recently made a trip to San Diego ALL the way from New Hampshire for a quick visit, AND they asked me to squeeze in a session with their beautiful new family of four while here. I was pumped, as I first had a session with these sweet friends almost two years ago when their oldest was their only. Knowing they made time to spend a couple of hours of their precious vacation time with me was awesome enough, but the fact that they are friends and repeat clients is the icing on the cake. I'm forever grateful for clients that trust me to document their families and then come back for more, and ask me to photograph them again. I'm grateful beyond words.